General TV Channel / The Zanzibar Broadcasting Corporation (ZBC) was established officially in 2013, after the House of Representatives passed a bill which was signed by the President of Zanzibar and Chairman Revolutionary Council, Ali Mohammed Shein on 19th April, 2013 as an Act number 4 of 2013. The Voice of Zanzibar was launched in 1951 using equipments such Spartan a gramophone, a microphone and mixing scale of an old public address amplifier. 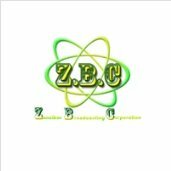 Zanzibar Broadcasting Corporation (ZBC) Television, in August 1971, Government authorities conceived the idea to establish Television station in support of STZ.